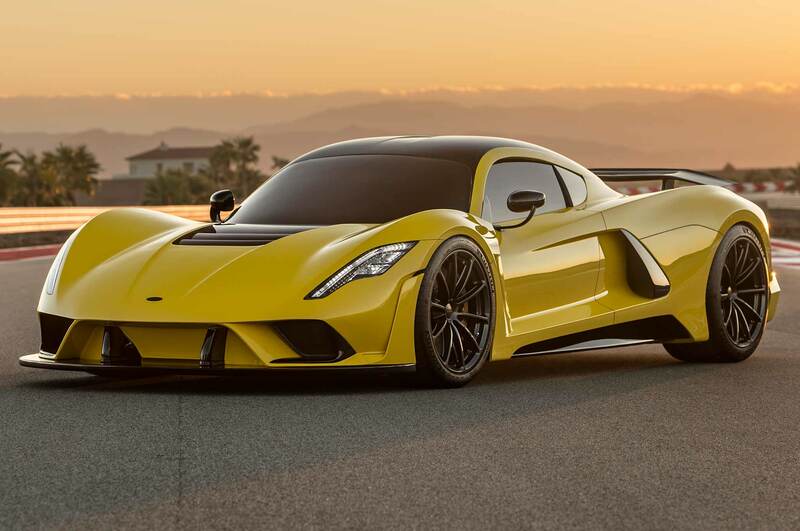 It’s a nice, round number, 300, John Hennessey’s goal for the top speed in miles per hour for his new supercar, the Venom F5. 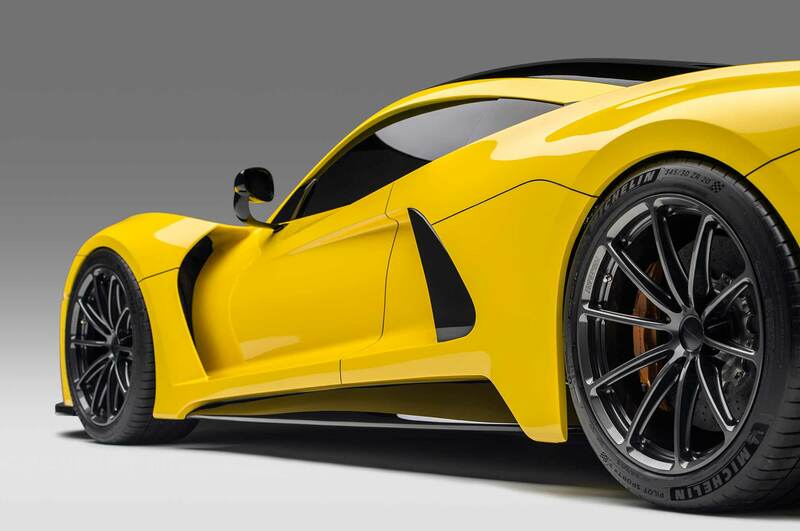 In the works for about half a decade, the Hennessey Venom F5 will come with a bespoke 8.0-liter twin-turbo V-8, rated 1,600 hp and 1,300 pound-feet of torque. 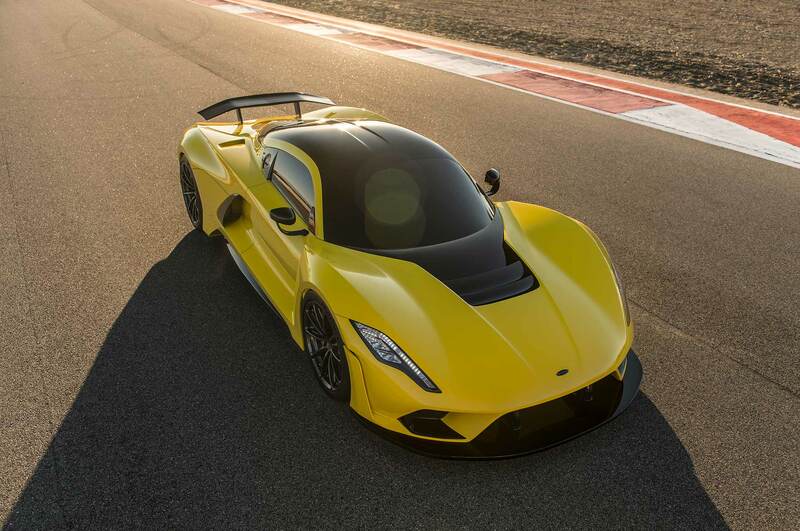 Hennessey Performance claims a 0.33 coefficient of drag and weight of less than 3,000 pounds, and the chassis features traction control, adjustable suspension, and a carbon-fiber tub, though no active aero. 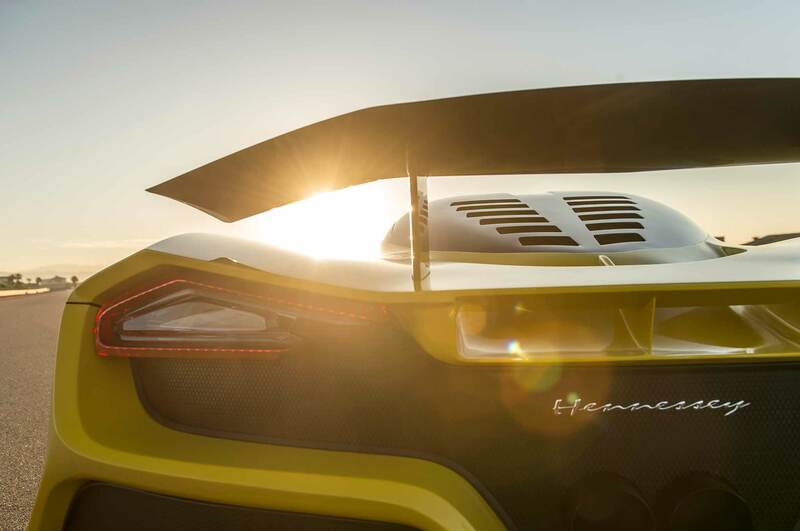 The car’s chief chassis engineer is John Heinricy, the former General Motors Performance Division director, who is “going to be intimately involved” in final tuning and testing, Hennessey says. 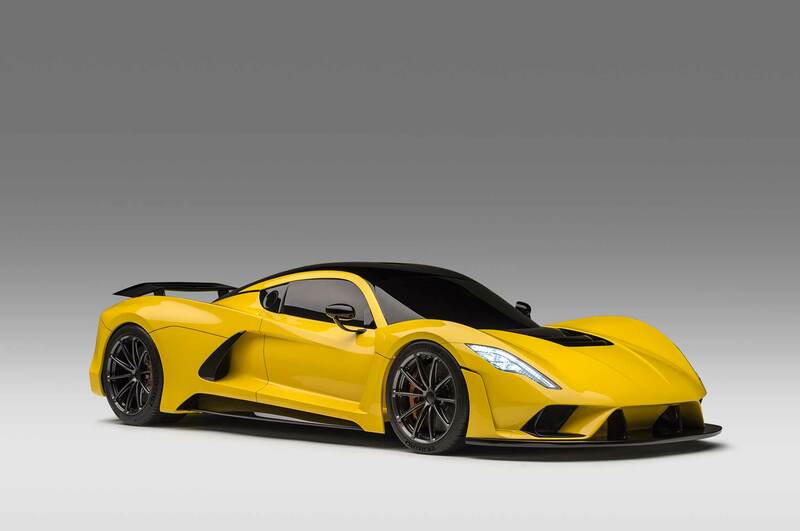 Hennessey Performance first showed off a concept version of the car last autumn at the Specialty Equipment Market Association show in Las Vegas, and then showed it again earlier this year at automobiledom’s antithesis of SEMA, the Geneva International Motor Show, where the company’s eponymous speed freak in-charge welcomed comparisons with Bugattis, Koenigseggs, Paganis, Ferraris, Lamborghinis, and Ford GTs on nearby stands. 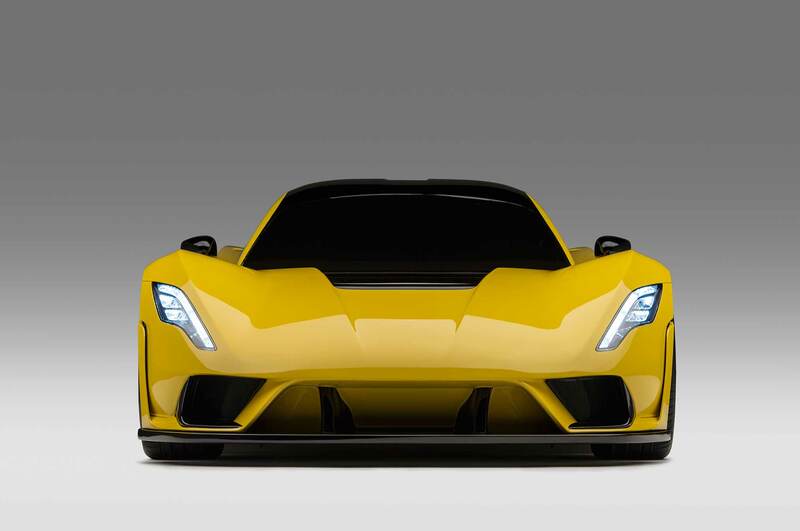 Automobile Magazine: You’re looking to get the car to 300 mph? 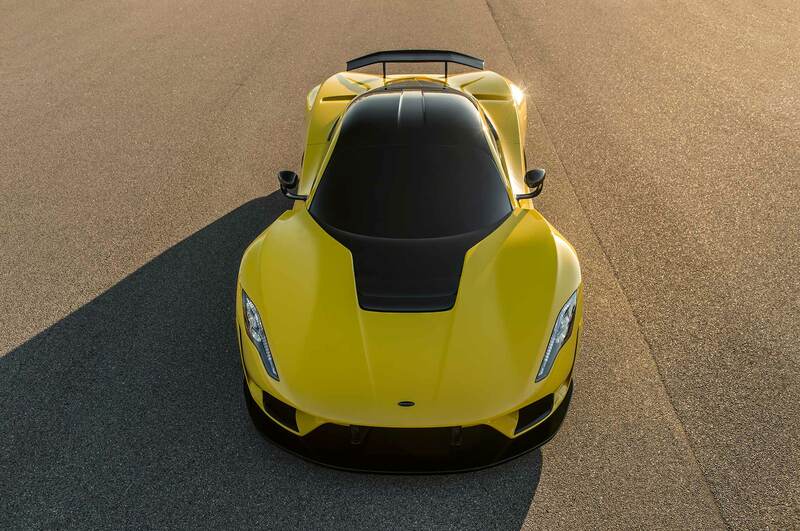 AM: When you did that, it raised controversy that the Venom GT was a heavily modified Lotus. JH: We wanted to build our own car, but we were tuners of cars, not builders of the cars. 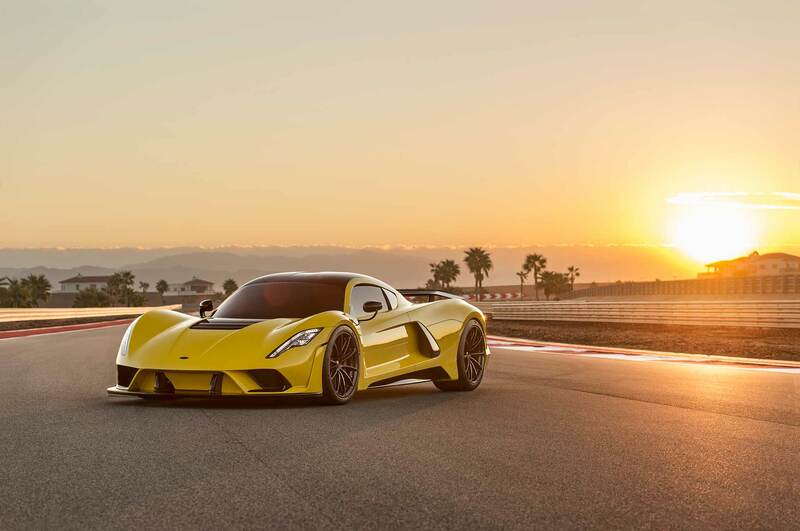 What if we want to build something really lightweight, and I don’t have the budget, or the time, or the experience to build our own car, but what if we took the Lotus and built our car around that? Everything from behind the seats was new. Everything in front of the dash is new, but we used that tub, and that interior. We used the headlights, the windshield, the doors, the taillights. 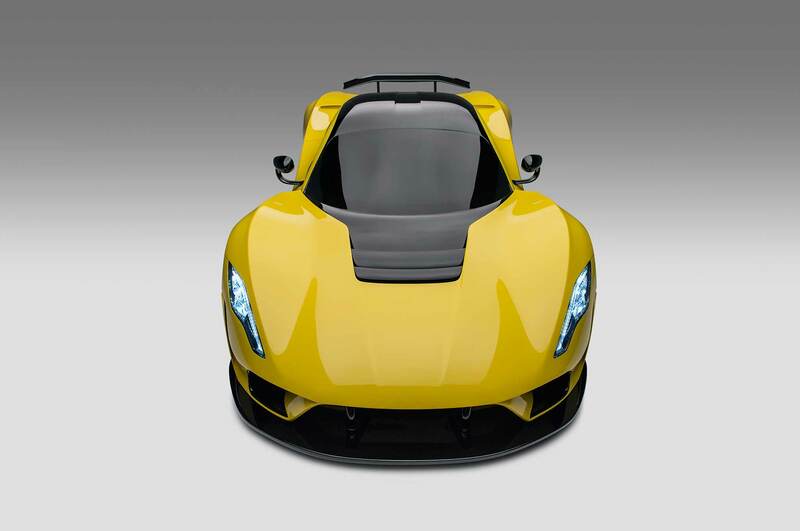 That’s really about it; 90-percent Hennessey, 10-percent Lotus. 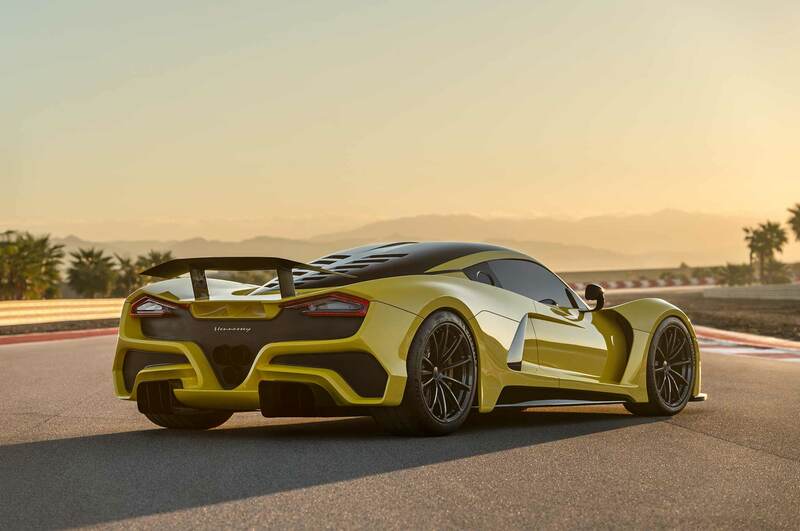 But when people saw it in pictures they said, “It looks like a modified Lotus.” Certainly we achieved our performance goals, but we felt like we didn’t really fully represent our capabilities or what our brand was all about. Maybe five, six years ago, I thought, “Okay. 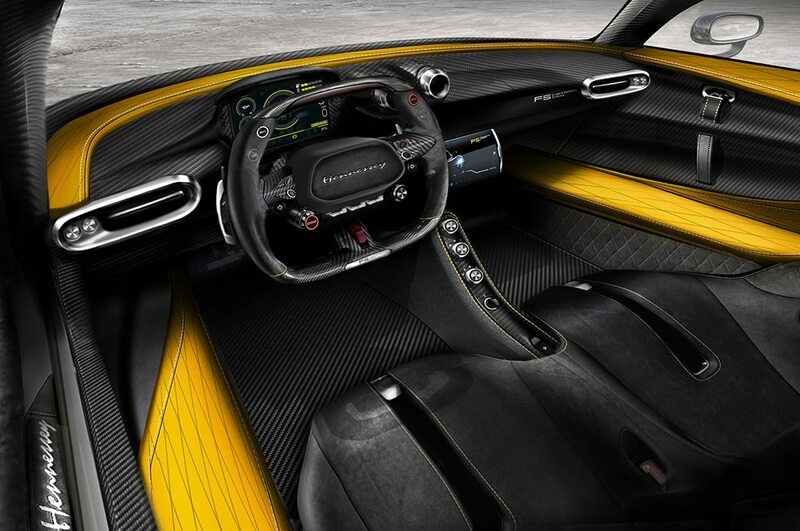 We’re going to build our own car.” We learned a lot from building the Venom GT, an amazing car with amazing performance, but if we’re going to be in the conversation with the likes of Bugatti, Koenigsegg, and Pagani, we have to have our own bespoke design. AM: Who designed this car? JH: I can’t tell you. AM: You can’t tell me. JH: Yeah. You would know his name. 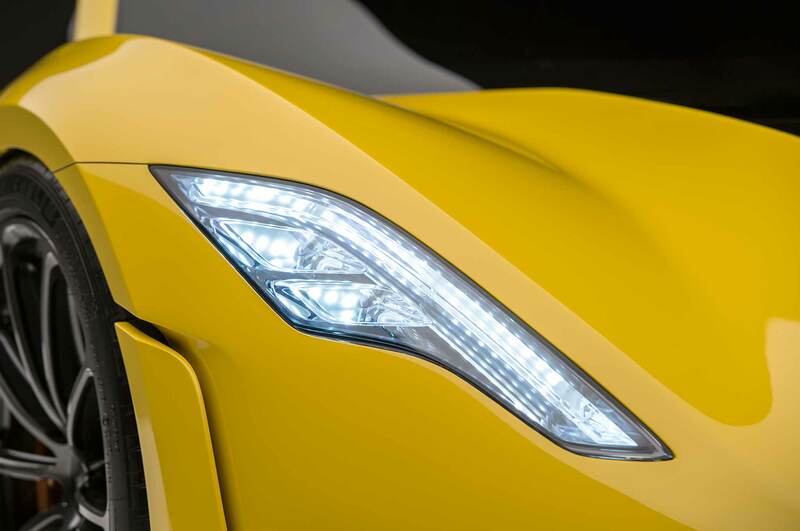 There’s a car within your eyesight right now that he’s designed. He’s done work with the other major brands. He wants to remain anonymous, but he’s one of the best in the world. AM: Is he American, European, Asian? JH: Yes, American. It took me two years to find the right designer, It took me two years to find the right group [of designers], I’ll say. 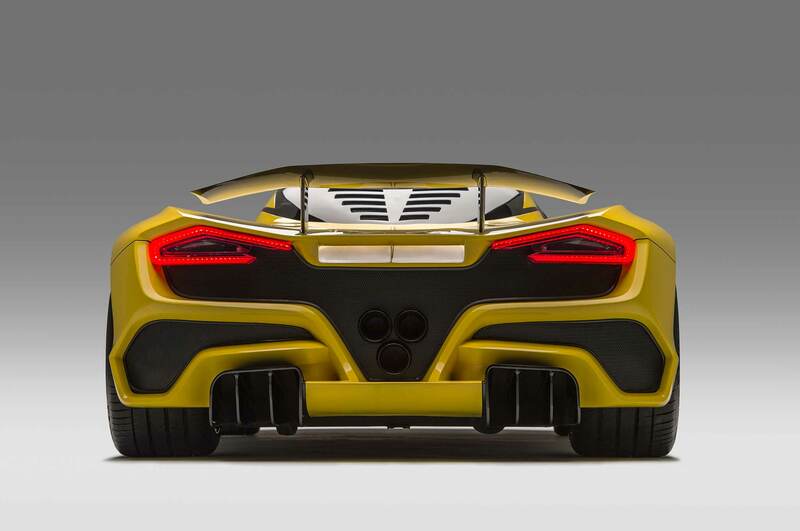 From 2013 to … basically what you see here that we unveiled at SEMA … the last 18 months has been very intense. Prior to that was design direction, timing, things of that nature. 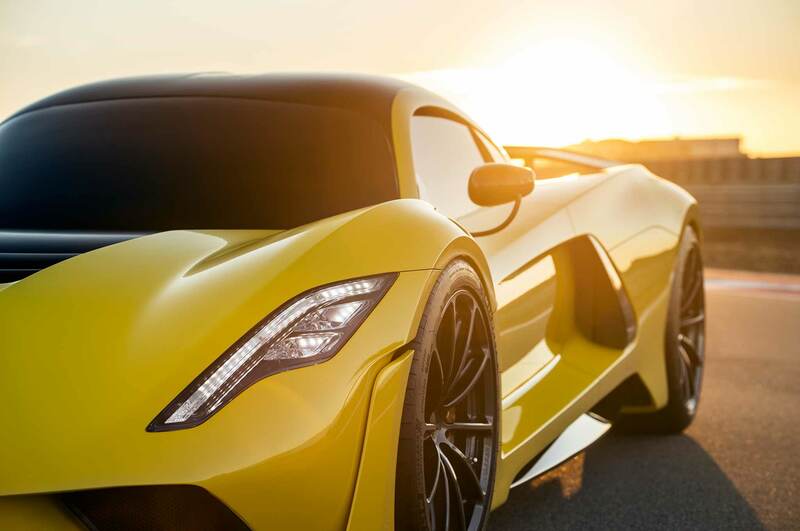 AM: What came first, the quest to do 300 mph, or the quest to do something that’s all your own car? AM: How did you decide it’s possible to design and build your own engine, monocoque, suspension? JH: It’s a bit of courage, and balls, and a little craziness. AM: Is this something you’d always planned, or did the criticism that you got from the previous cars push you? JH: If I’m going to continue to do this, I kind of need to start selling the stuff that I’m racing. Somebody told me the story that that’s what Ferrari did. He wants to keep racing and sell his race car. We like to challenge ourselves. What’s the next thing? 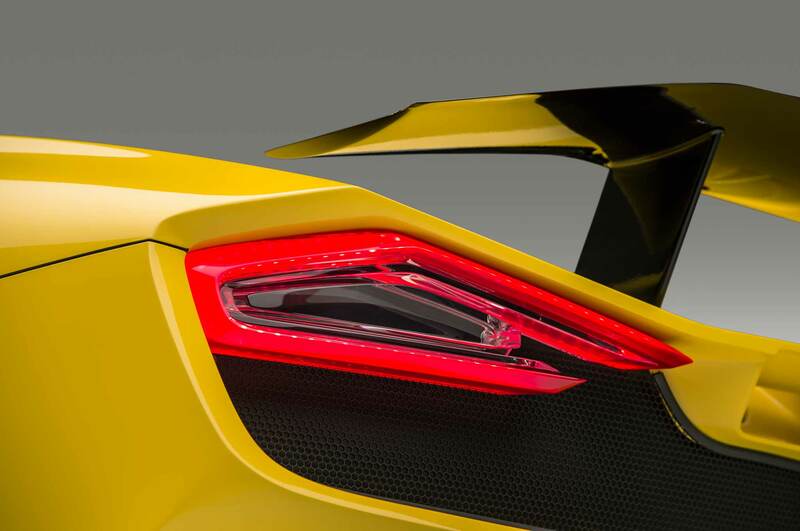 We can keep modifying cars, but I felt like at that point in time, I wanted something significantly lighter. The Venom GT at 265 mph with the roof off is still the fastest road car, and so we’ve learned a lot of things along the way. 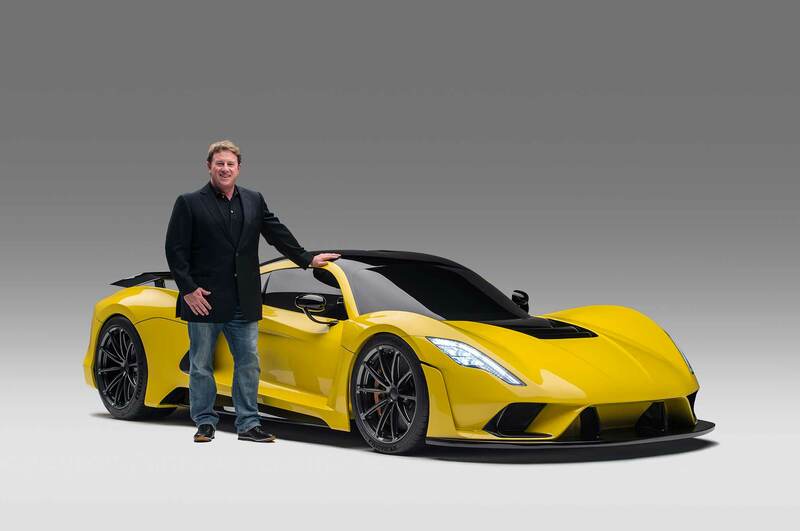 One of the biggest things I’ve learned is I need a great team, great partners, the folks from Shell and Pennzoil have been a really important partner to what we’re doing with the F5 and so we’ve tapped into some amazing talents. People and names that I would like to share with you as we go forward, but I just can’t give up how we’re doing this just yet. 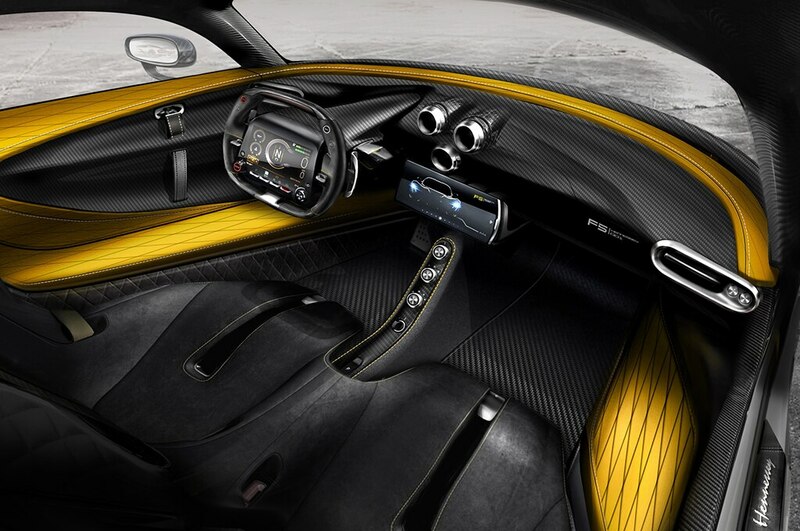 But we wouldn’t be here standing on the stage in Geneva if we weren’t intent on building the fastest car in the world. AM: What sort of support do Shell and Pennzoil provide? JH: On the engine development side, huge. 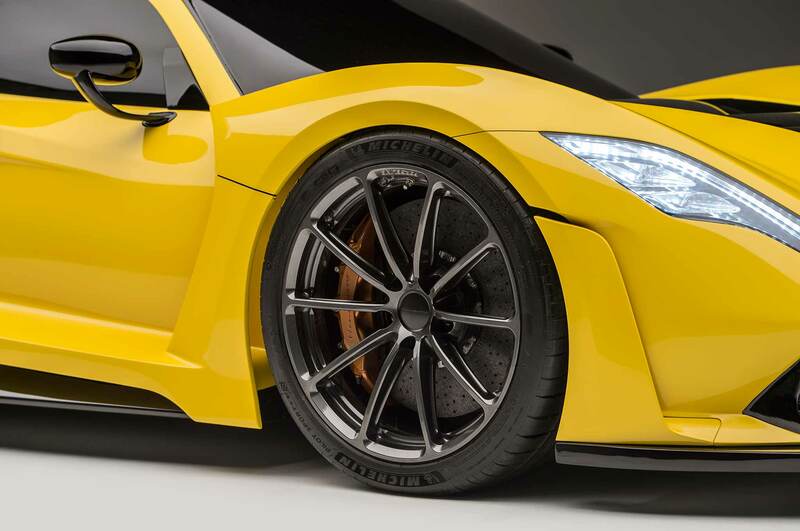 They were directly involved in the development of the motor, and so their lubrication, technologies, and fuels are powering not only the F5 but all the cars that we’re building … [their financial support helped] us come to the show. 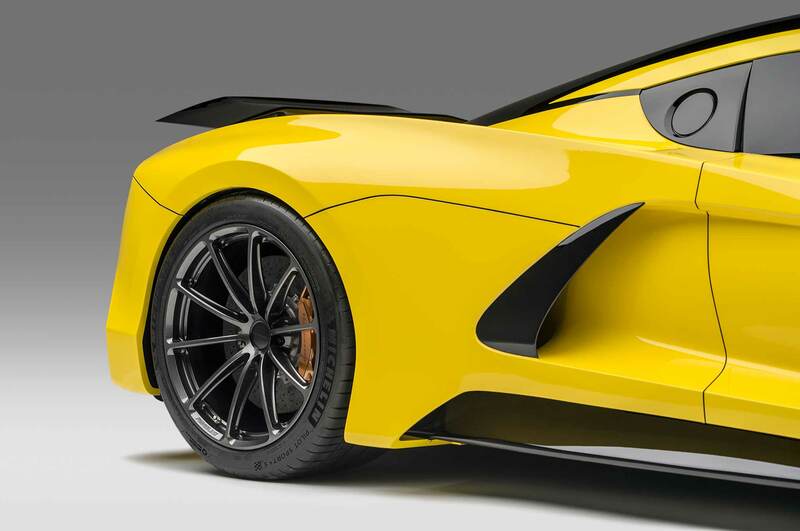 AM: I’m thinking of all the brands here that are similar in that they build a few cars per year are Bugatti or Koenigsegg or Pagani, but the [exclusive] brand that stands out as a comparison is McLaren, which like Ferrari builds both racing cars and super cars. JH: We will do another car after the F5, much like McLaren when it came out with the 12c, but P1 was kind of their halo, and then all these other cool cars have come from them. They’ve done so much in a short period of time. I try to emulate what they’re doing and I think it’s really an amazing thing. They’re our benchmark.